If you're thinking of something a bit more traditional for your landscaping or garden project then look no further than our range of Lap fence panels. All available in a range of colours and sizes, our lap fence panels are pressure treated to protect the panel from wood rot and decay. Contact your local branch today to see how they can help. A favourite from our suppliers Grange, this well-made, traditional garden fencing lap panel is re-engineered with a rebated and fine sawn frame as a standard. 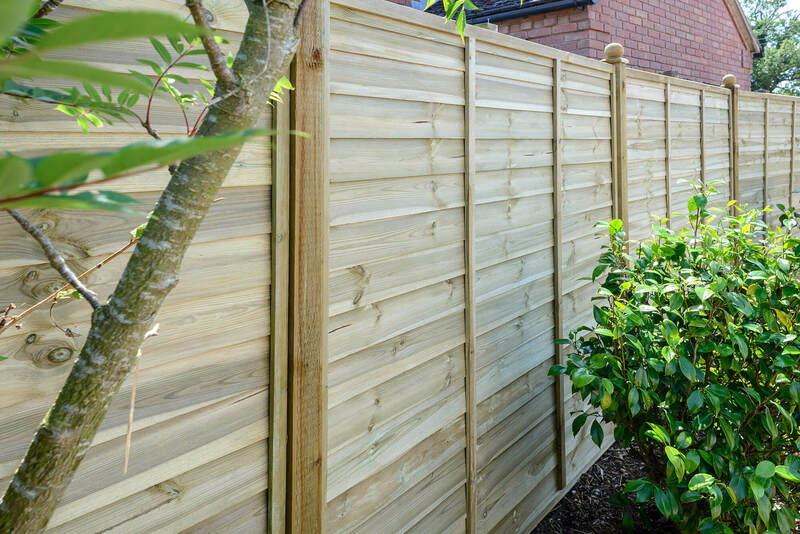 A sturdy wooden garden fence panel that is 40mm thick. The pressure treated golden brown treatment protects the fence panel from wood rot and decay for years to come. Much like the Gold, the Green professional lap panel features all the same benefits. The pressure treated green treatment protects the fence panel from wood rot and decay for years to come. Unseen on the current lap panelmarket, the Ultimate Panel is an enhanced wooden fence panel, with straight cut timber slats. It is engineered using fine sawn timber and comes with a 40mm rebated frame. The mortice and tenon jointed frame and capping connection on the top and bottom provides ultimate durability for this garden fence panel. This pressure treated green panel is available in two sizes.